Trump says the US will keep 400 troops in Syria indefinitely, including 200 near the Israeli border. 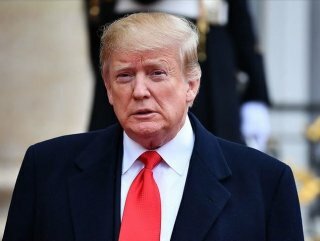 US President Donald Trump said Wednesday, “In Syria, we’re leaving 200 people there and 200 people in another place in Syria closer to Israel for a period of time. 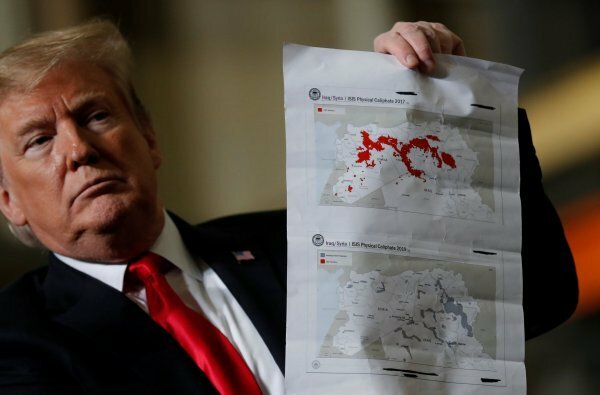 Speaking as he leaves the White House, Trump displays maps of Daesh territory in Iraq and Syria on the day he was elected and as of this morning. The most recent map shows what Trump says is a “tiny spot which will be gone by tonight.” He says when he was elected, Syria was “a mess”. Trump has previously announced the defeat of the terror organization, but sleeper cells of fighters remain in Syria.